Sterna Nisyros Residences and Time Capsule Art Project in the island of Nisyros, Greece. 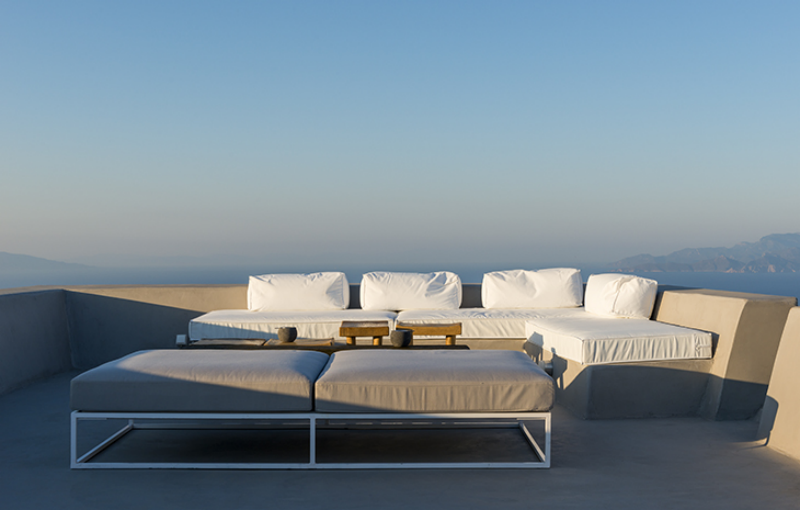 In a unique location within the medieval castle of Emporeios in the island of Nisyros comes Sterna Nisyros Residences. A new proposal fit for all lovers of eclectic residence, aesthetics and art. For everyone who wishes to spend his holiday in a quiet island of long history, which encourages introspection and strongly resists the intense commercialization and mass tourism. Emporeios epitomizes all the strong points of Nisyros. On the ridge of the island looking to Asia Minor and the other Dodecanese islands, it offers an impressive view of the volcano and invites visitors to discover its picturesque, chock - full of native vegetation, trails. 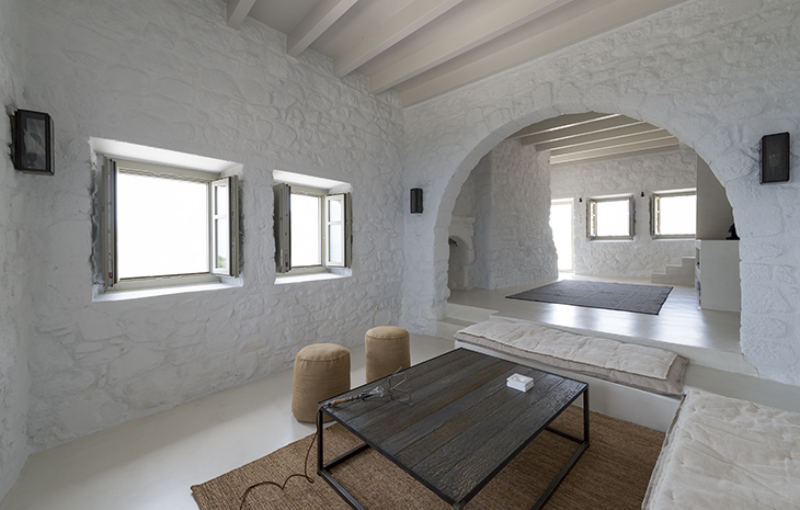 At the same time, Sterna Nisyros Residences aspires to become a meeting place for artists from Greece and all around the world. Through its Art Residency and Exhibition programme, Time Capsule Art Project, curated by Eleni Koukou, it attempts to provide an environment where contemporary creation will interact with the various aspects of Nisyros’ unique environment. To be more precise, Kostas Bassanos will be the visual artist to inaugurate 1-30 July the new residency and exhibitions programme Time Capsule Art Project in collaboration with Ileana Tounta Contemporary Art Centre. Bassanos will present the project Falling, new site-specific works in dialogue with the endless energy of the volcanic landscape. The Danish visual artist and performer Augusta Atla will present 1-18 August her installation I am Colour, an intensely colourful work resembling to a scenography of an old home. Textiles are a dominant element in her work, and colour, on the other hand, functions as a metaphor for fertility and growth. The well-known multifaceted artist Dimitris Papaioannou participates in the programme from 20 August until 5 September. He will produce, in situ, new drawings for the creation of the Nisyros storyboard. The last three days of his stay the place will be open to visitors 6-10p.m. The audience will have the opportunity to see the new drawings consisting Nisyros storyboard and watch a presentation by the artist himself about his complex art practice. Finally, Time Capsule Art Project in collaboration with occhi concept store will present 7-22 September the design group exhibition It's all, oh so souvenir to me! Vol.2. What would Greece be if it were a souvenir? This is the question that over 60 Greek designers were invited to answer. Sterna Nisyros Residences will become an ideal new context to better understand this fertile dialogue between tradition and contemporary design. Ariadne Strofylla at ''9 ENNEA'' Cultural Space. K-Gold Temporary Gallery - Lesvos island. 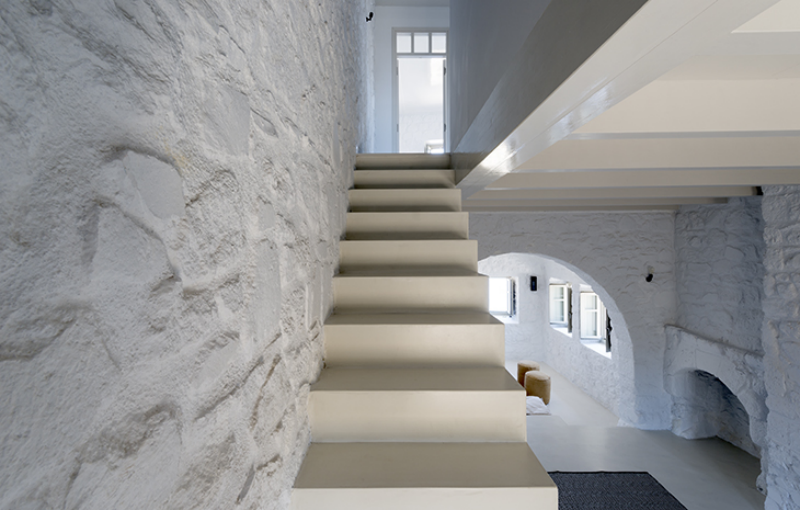 The Art House in Milos island by Dimitris Tsirigotis.